Furniture products and suppliers are the focus of this section, with information on outstanding brands and products from the Greater China area: OA furniture, K/D furniture, kitchen and bathroom furniture, building materials for interior decoration, dining room furniture, furniture parts and accessories, and bedroom and cloakroom furniture. Buyers can use this APP to make orders immediately or browse for more detailed information by connecting directly to the websites of suppliers. Founded in 1981, Chueng Shine Co., Ltd. has grown into a leading Taiwanese maker of OA furniture with a catalog that encompasses a wide range of seating and desk products. Today the company concentrates on the development of innovative and highly functional products for the global market. 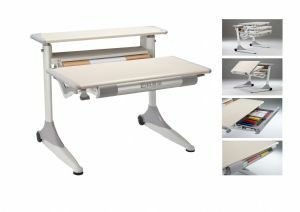 Kuang Shin Enterprise Co., Ltd. has been in the office furniture industry for over 25 years, mainly making kids’ furniture, OA chairs, and computer desks, also now promoting the ET-100 BK series worktables which was debuted in late 2014. Established in 1985, Tai Cheer Industrial Co. initially generated ball-bearing slide roll forming machines, and in 1993 became in the production of ball bearing drawer slides. With experience in the industry for more than 25 years, the company is now able to offer high-end quality products to its clients. Being a major furniture-parts maker in Taiwan, Eam-Win Co., Ltd. focuses on production of OA chair-parts such as base, caster, back-part, armrest, foot ring, seat-cover, and metal mechanism, etc. Applying compounded-material including nylon, glass-fiber, and plastics, the company operates three plants in Tainan City, southern Taiwan to handle material treatment and products injection works. Since its inception in 1975, Tung Tien Enterprise Co., Ltd. has been dedicated to making various casters as one of veteran makers of this kind in Taiwan.